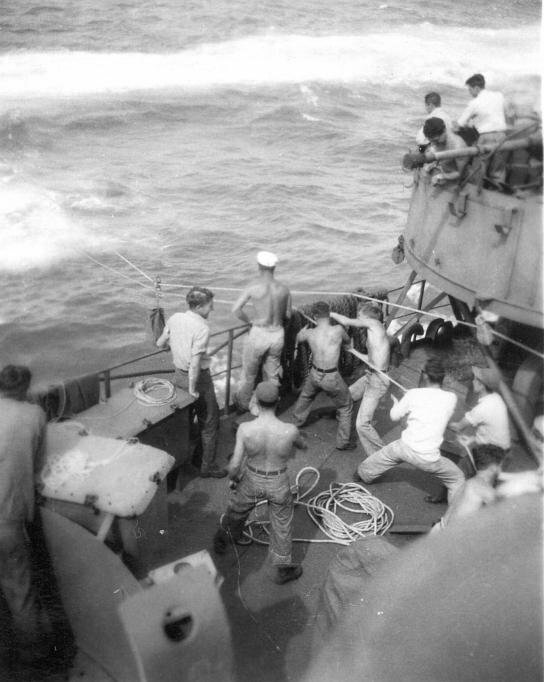 Laid down, 13 May 1944, at Bethlehem-Hingham Shipyard, Inc., Hingham, MA. 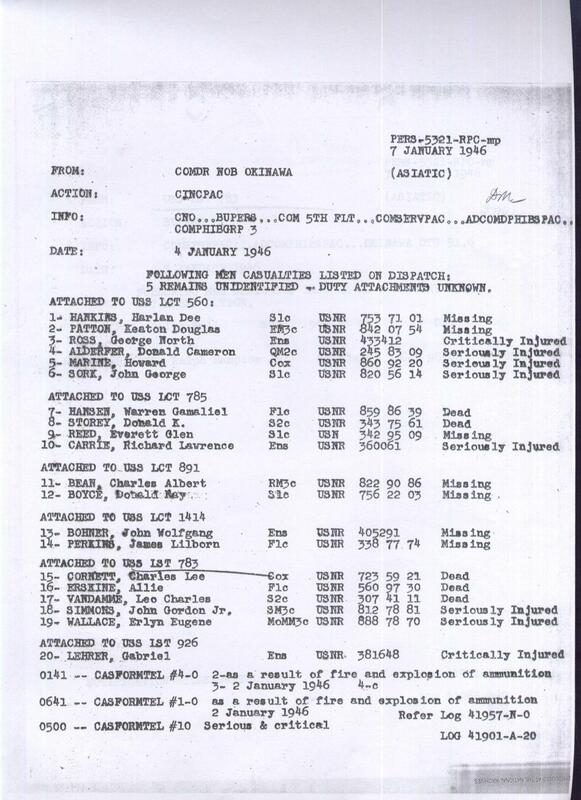 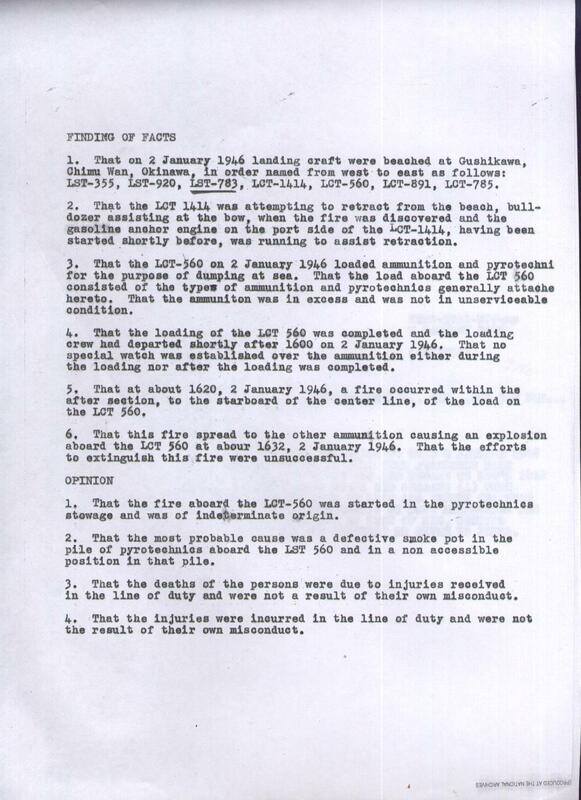 Final Disposition, sold for scrapping, 13 June 1948, to Walter W. Johnson Co., Seattle, WA. 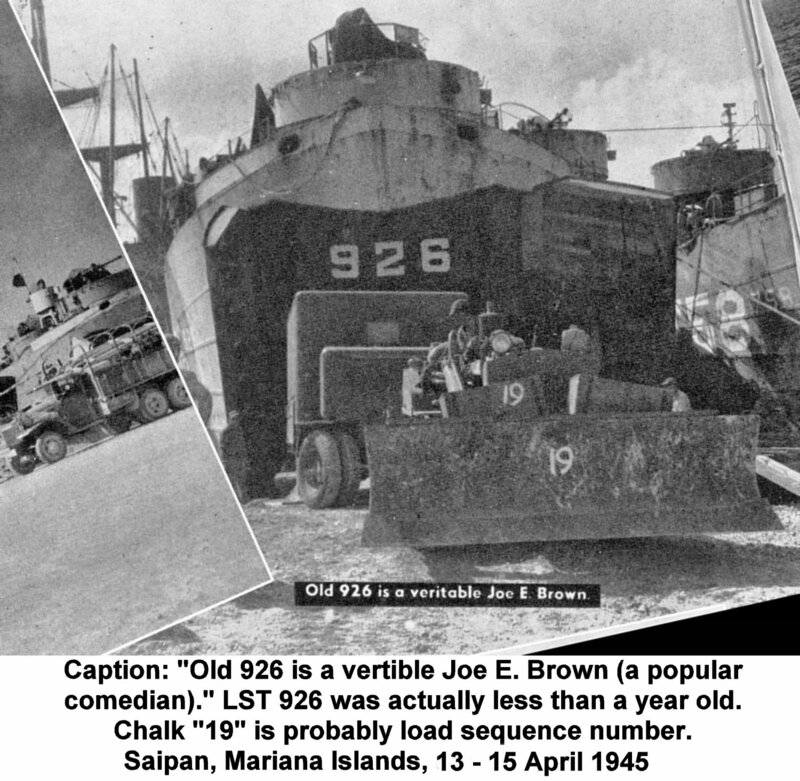 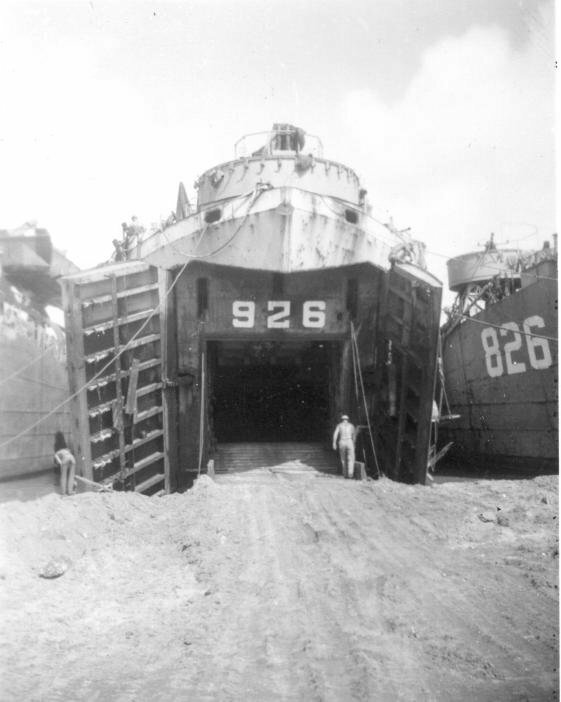 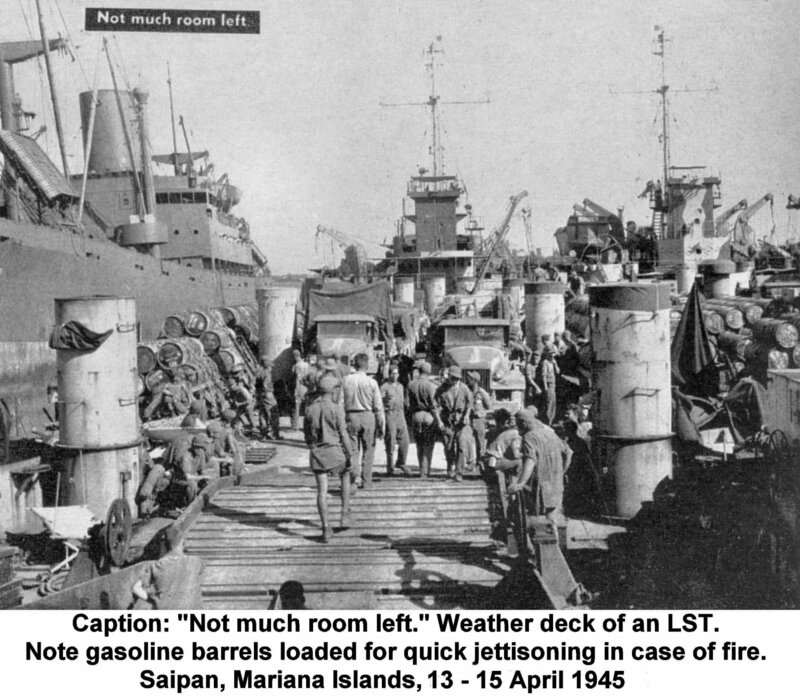 521k USS LST-926 and USS LST-758 loading out equipment and supplies of Naval Construction Battalion, Seven at Saipan, Marianas Islands, circa 12-15 April 1945. 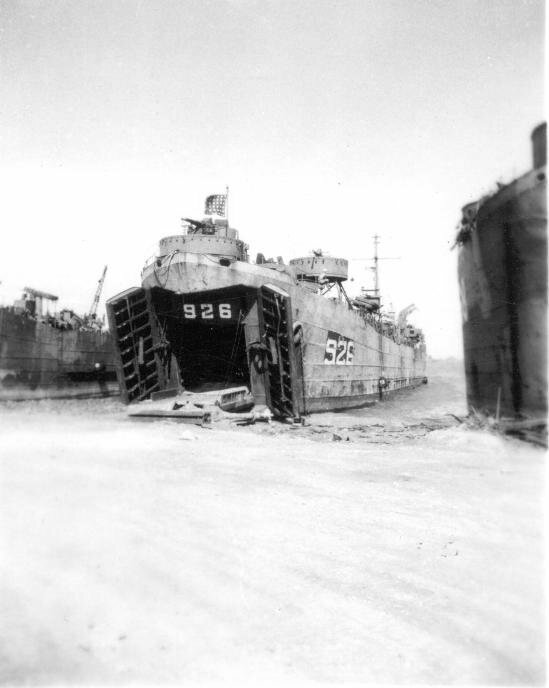 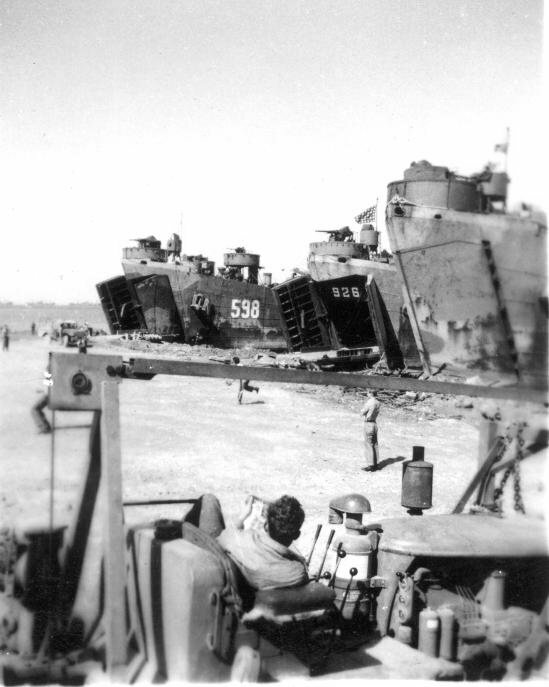 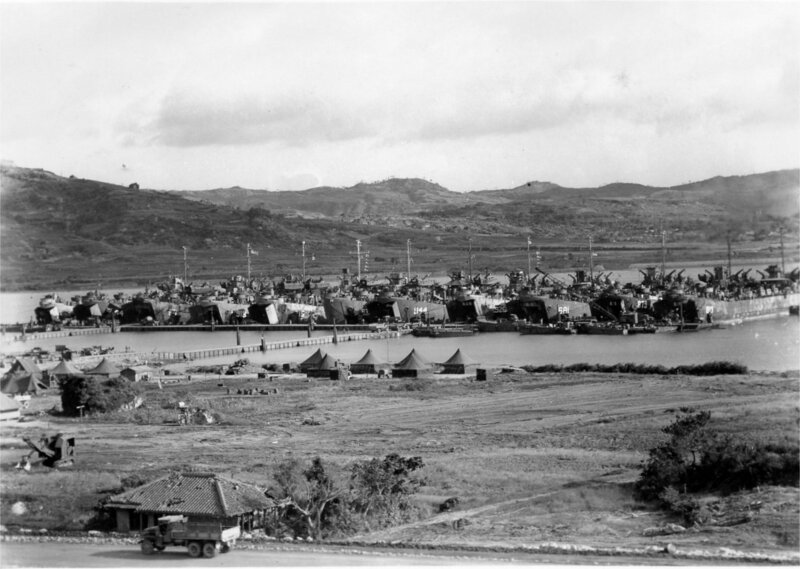 LST-926, LST-758 and USS LST-895 transported the first echelon of the Battalion to Okinawa where they were offloaded, 1 May 1945. 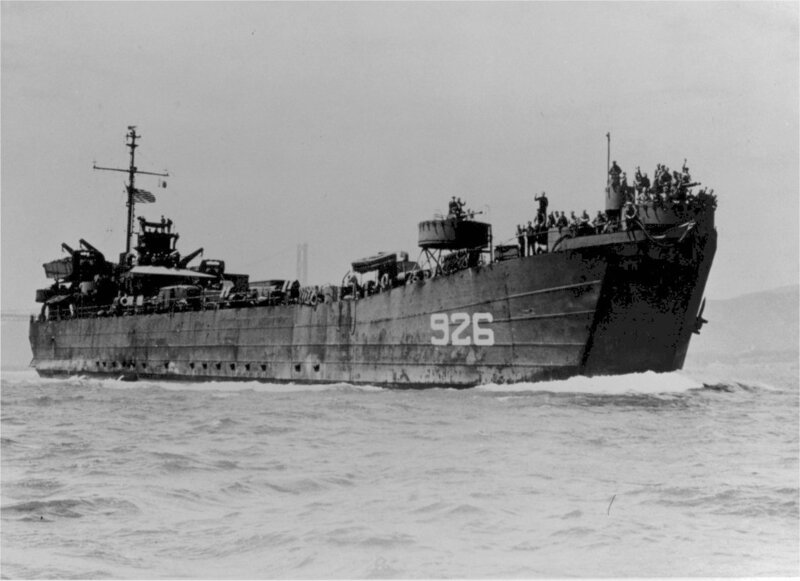 134k USS LST-926 under way in San Francisco Bay, CA., circa early 1946.